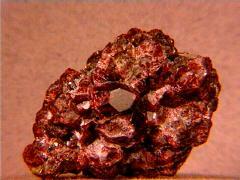 This is my pyrope and miscellaneous garnet collection. 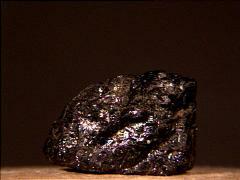 Pure pyropes are unknown (in nature) - there's always some almandine and spessartine present - pure pyropes would be colorless. I have so few pyropes that I've decided to combine them with the lesser known garnets. and only partial series between the two groups. Garnets come in every color except blue - though some of the color-change ones do pass through a blue phase under certain lighting conditions. kimzeyite - Ugrandite, "zirconium garnet"
See MinDat's page for a complete listing of the Garnet Group. 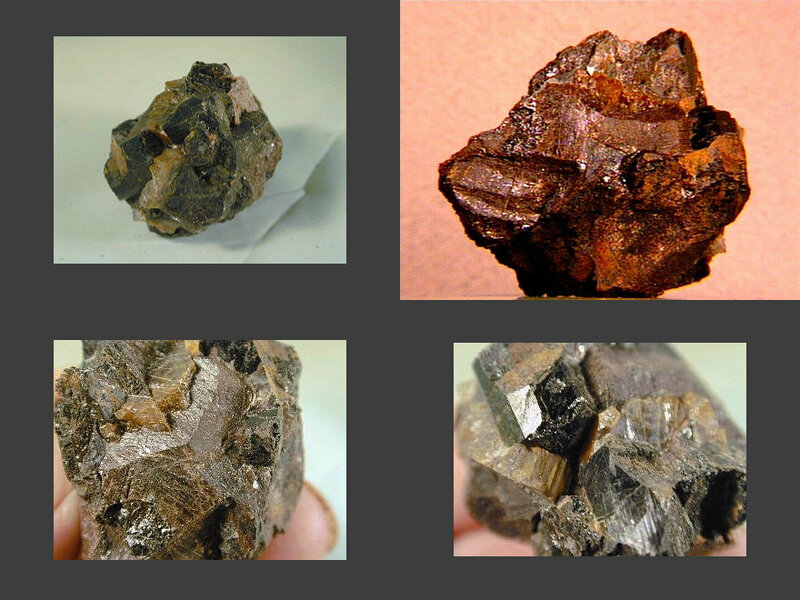 Generically, garnets have the formula: A3B2(SiO4)3 where A can be Ca, Fe (ferrous), Mg, Mn (manganous) and B can be Al, Fe (ferric), Mn (manganic), Cr, Ti, V, Zr with iron and aluminum occasionally replacing some of the silicon. The number of combinations is reflected in their diverse color range. 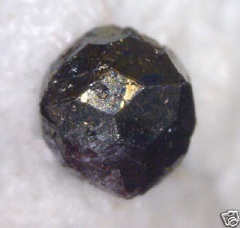 To include the synthetic garnets, the formula can be rewritten as A3B2(CO4)3, or even A3B5O12 since in synthetic garnets, B and C are usually the same element. Here, A can also include bismuth, gadolinium, and yttrium and B can include gallium and vanadium. 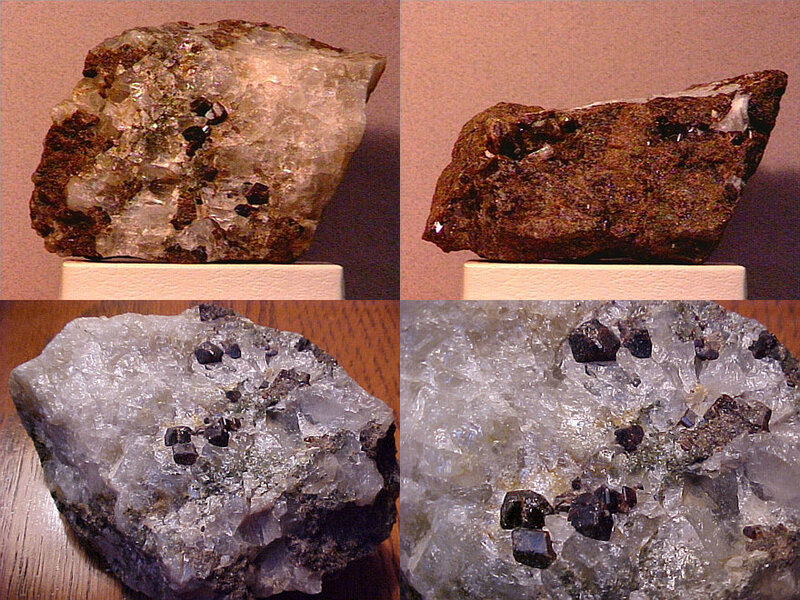 There's also some mixed garnets (two or more species on one matrix) and some combination garnets. 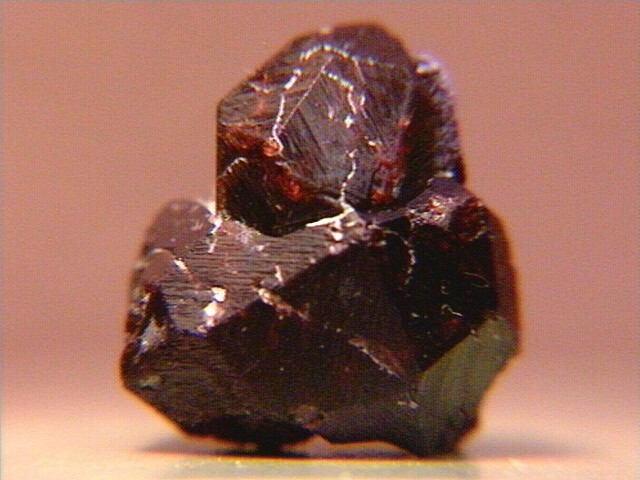 Most garnets are not purely one species but the combination ones here are known to be "midway". Malaya (Malaia) garnets are a mix of pyrope, spessartine, and grossular (significant vanadium impurities create the color-change variety), rhodolites (and Mozambiques - red w/ orange flashes; the mine is now closed) are a combination of pyrope and almandine, and Mali garnets (1994) are a rare mixture of andradite and grossular (grandite). Grape (violet to purplish-red) garnets are almandine-spessartines from the Orissa district of northwestern India. Some garnets can be combinations of more than three species - in 1994, in Slovakia, there's an unusual vanadium-chromium garnet that's part goldmanite, uvarovite, grossular, and yamatoite. I also have a few lab-produced (faceted) garnets - these garnets can be either homocreate (same composition as natural garnets) or synthetic, that is, not having a natural counterpart. Homocreated created garnets are relatively difficult to fabricate and since, in general, natural garnets are relartively cheap, there's not much incentive to manufacture them. "Synthetic garnets" (especially with the same garnet name as the natural ones) for jewelry are almost always colored synthetic spinels. 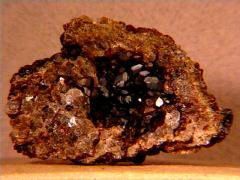 Most of the true synthesized garnets are doped YAGs - yttrium aluminum garnets. I have a cesium-doped (yellow) and a chromium-doped (green) YAG. 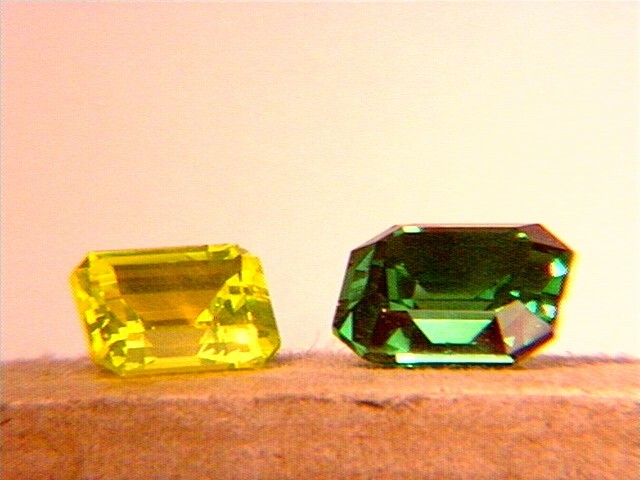 Both are highly fluorescent - the green one has a green-red color change. 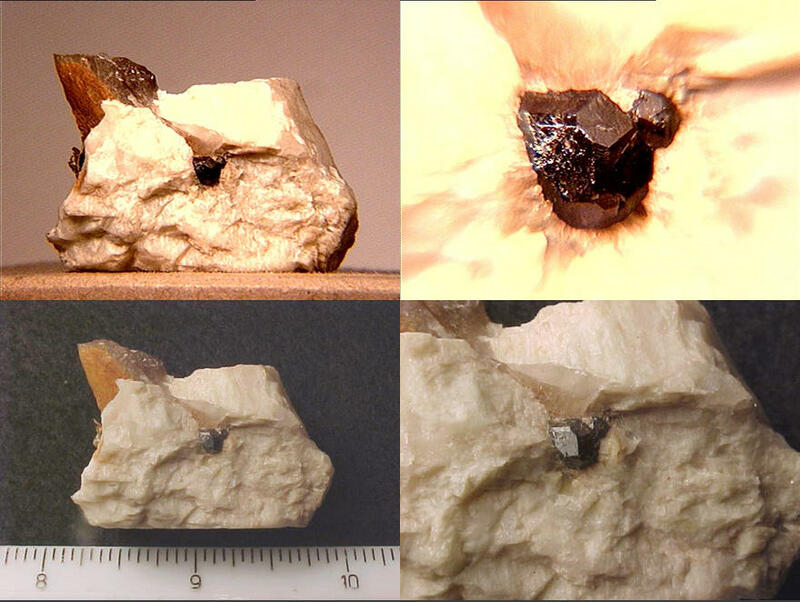 Synthetic garnets have other uses than gemstones - yttrium-iron garnets (YIG) are magnetic and find many uses as sensors, actuators, and microwave substrates. Finally, there's a few unidentified garnets here. 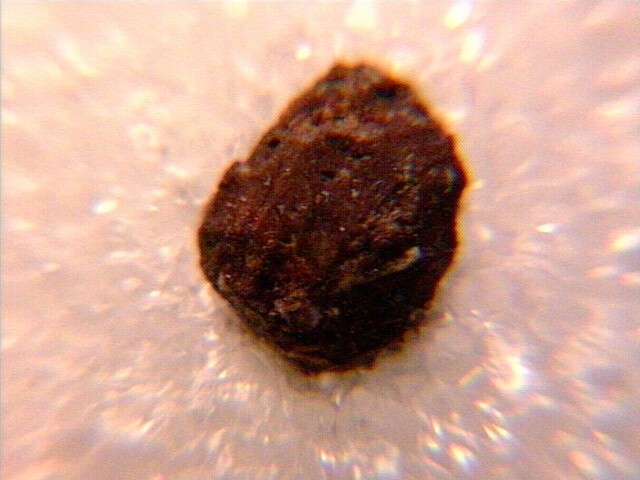 From the abstract of A natural scandian garnet. 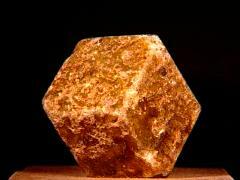 in American Mineralogist, Volume 90, 1688 - 1692, 2005. 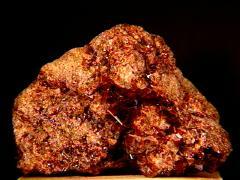 Garnet from an aposkarn achtarandite-bearing rodingite-like rock in Sakha-Yakutia, Russia, has a Sc content close to 6 wt% Sc2O3 . 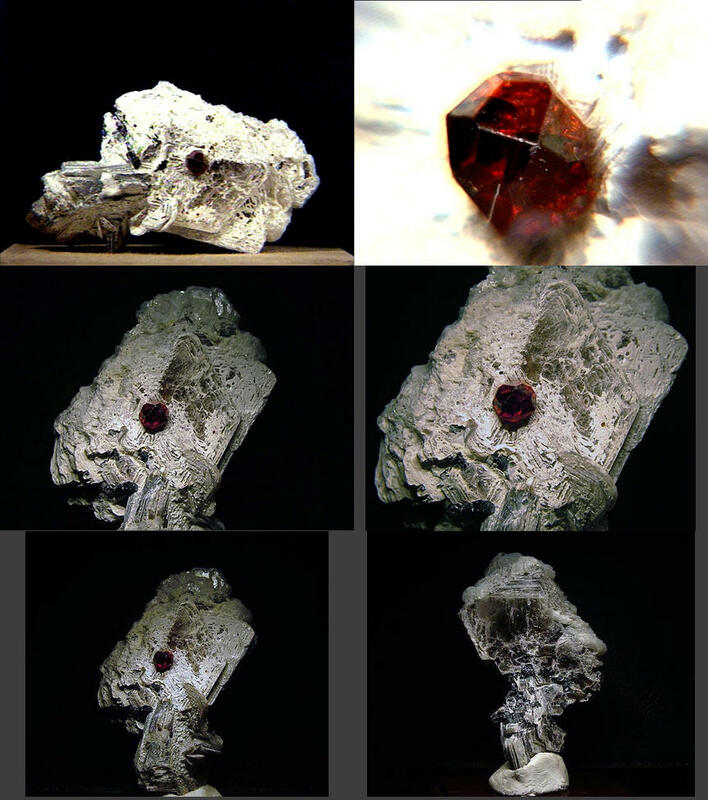 . . Investigation of the composition of many of the scandian garnets reveals the existence of a solid-solution between kimzeyite-schorlomite Ca3(Zr,Ti)2(Al,Fe)2SiO12 and the scandium analog of andradite Ca3Sc2Si3O12. 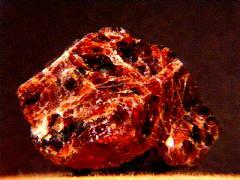 This is the first report of a natural scandian garnet. 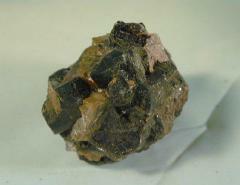 "Schaferite, a new member of the garnet group, has been discovered in a fragment of a silicate-rich xenolith from the Bellberg volcano near Mayen, Eifel, Germany. . . . Schaferite has an orange-red colour and a vitreous lustre, the streak is yellow. . . . the simplified formula as derived from chemical analyses and crystal-structure investigation is NaCa2Mg2(VO4)3." 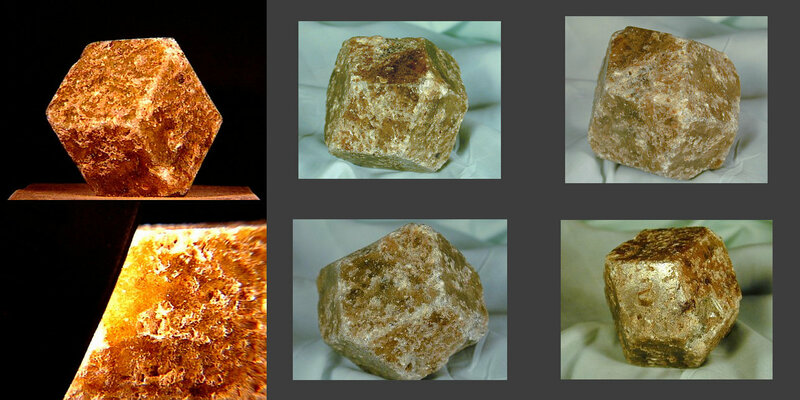 The "vanadate" allies it with the goldmanite-yamatoite subgroup. pyrope and a green pyrope! A bunch of deep red almandine-spessartines in massive garnet matrix from Afghanistan - most of them have internal fractures but they're still very clean and colorful! Mixed andradite and grossular garnets (even within single crystals) from old Spanish gold mines at San Pedro Mountain, Santa Fe County, New Mexico.This specimen was collected at least 50 years ago! Thanks to Mel Stairs's auction on eBay for the specimen! 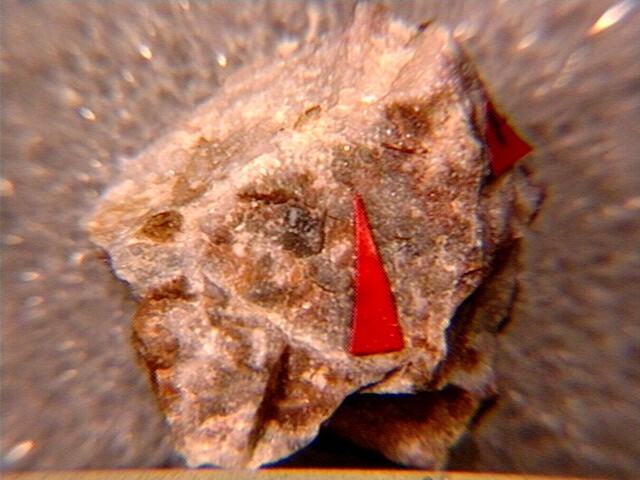 This miniature of rare light-red calderite in a (highly) magnetic manganese-iron oxide matrix is from the Champion Iron Mine, Champion, Marquette County, Michigan. 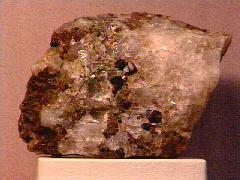 Calderite can be thought of as a grossular with added manganese and iron. Thanks to Thomas Bee's auction on eBay for the specimen! Probably almandines in a schist that's partly blue glaucophane from Camp Meeker, Sonoma County, California. 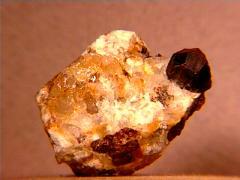 A big garnet (probably andradite) with attached schorl and quartz. Thanks to Mary Sue Bailey's auction on eBay for the specimen and images! A waterworn rock full of garnets (probably rhodolite) from Rhode Island. Thanks to Mike Yaseen's auction on eBay for the specimen! This is an odd micromount from the Sa Duchessa Mine, Oridda, Domusnovas, Iglesiente district, Cagliari Province, Sardinia, Italy - an unknown variety of garnet with copper minerals! 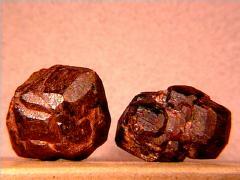 A couple of interesting garnets from South Africa - note the complex faces and growth. 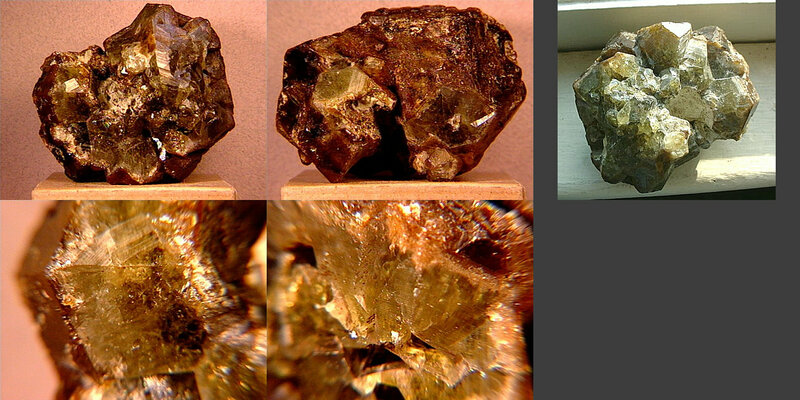 Thanks to Mike Keim at Marin Minerals for the specimen and the image! 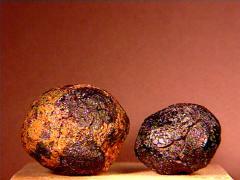 A pair of garnet-laden rocks - location unknown, just a good example of garnets in matrix. Thanks to Russ Morris's auction on eBay for the specimen and images! 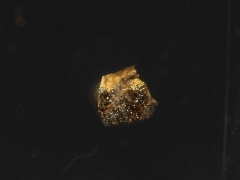 Goldmanite is also fairly and occurs as pale green druses (mostly north of the red arrow) on this thumbnail from Ehime-ken, Shikoku, Japan - the only garnet from Japan that I have! An excellent micro of dozens of tiny goldmanites on matrix from the Gambatesa Mine in the Graveglia Valley, Genova Province, Liguria, Italy. Thanks to Paolo Bracci's auction on eBay for the specimen and the image! Kimzeyite's a very rare zirconium / titanium garnet (often referred to as just "zirconium garnet" since the titanium content is only around 4%) in the ugrandite group. 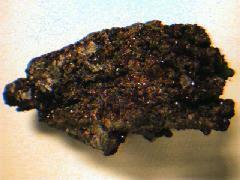 This one's from Perovskite Hill, Magnet Cove, Hot Spring County, Arkansas. It's named after the Kimzey family, also of Magnet Cove. Thanks to Anne & Charles Steuart's auction on eBay for the specimen! A nice miniature of three dark-brown kimzeyites in carbonatite with quartz from the type locality of the Kimsey Calcite Quarry in Magnet Cove, Hot Spring County, Arkansas. Thanks to Leland Goodwin's auction on eBay for the specimen and the images! 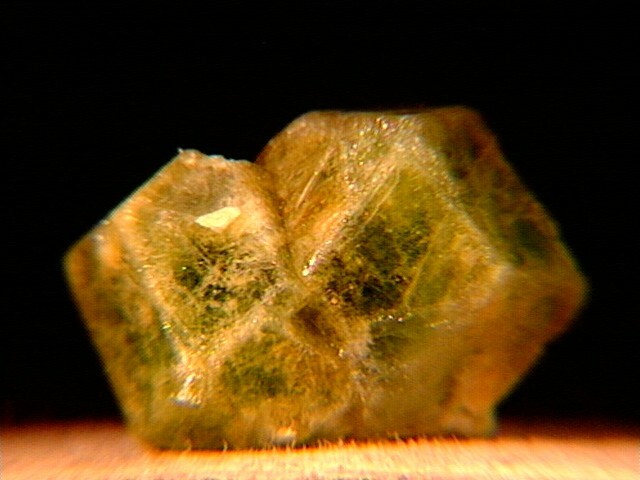 A 1mm modified dodecahedron kimzeyite, also from the type locality. 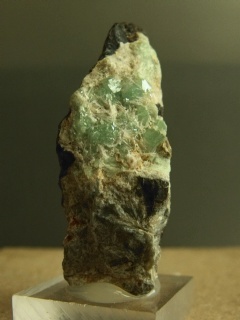 Thanks to Chris Stefano's Christopher J. Stefano Fine Minerals auction on eBay for the specimen and the image! 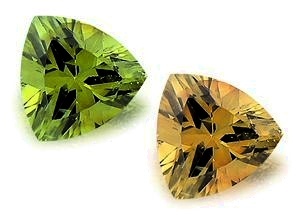 Mali garnets (grandites) are from a 1994 find in the west African Republic of Mali - they're a rare mixture of andradite and grossular and can vary in color from chartreuse to deep brown. Thanks to David Selem's auction on eBay for the specimen and image! Here's a Mali with a more typical color - too bad it's it only a centimeter across! 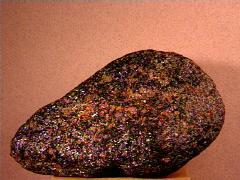 Here is a big Mali garnet - over two inches across and just under a pound! 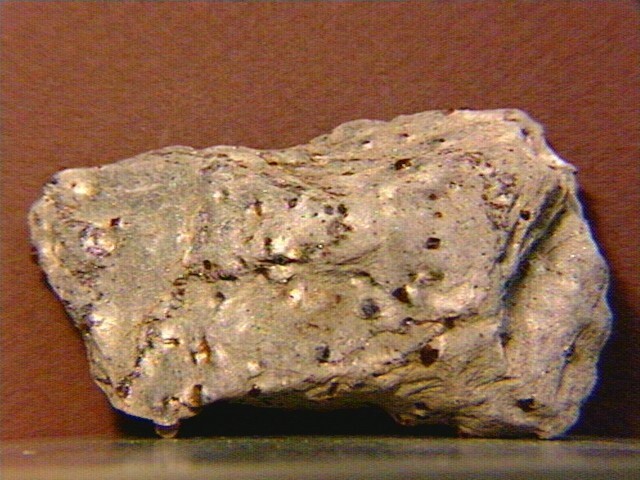 It has some translucent areas, as shown by the sidelit closeup (larger image, bottom left). Thanks to Mary Sue Bailey's auction on eBay for the specimen and the images! This beautiful cluster of garnets from Groves Quarry, Auburn, Androscoggin County, Maine, has a composition between almandine and spessartine (about a third of the iron is replaced by managanese). 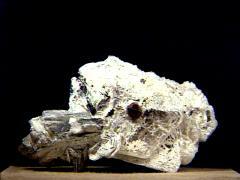 Thanks to Tony Nikischer at the Excalibur Mineral Company for the specimen and analysis! This is an odd specimen from the Coyote Front Range near Bishop, California. It's got both andradite and grossular garnets on a (very) friable matrix with light green diopside and green needles of epidote. Thanks to Chris Korpi at Pangaea Minerals for the specimen! 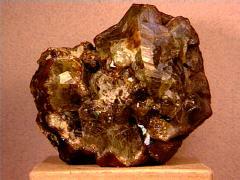 Pyrope, I think, from Gilgit, Pakistan - the color's right. 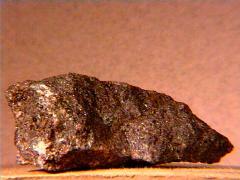 Thanks to Jan Garland's (Fine Rocks) auction on eBay for the specimen! This pyrope in a quartz matrix is from the Limpopo River in South Africa. Thanks to Dan Kepler's (minertown) auction on eBay for the specimen! 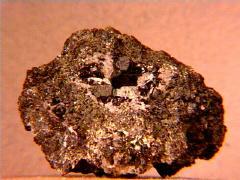 Often pyropes appear in a pyroxene matrix, along with other, rarer minerals. These associations are called eclogites (from the Greek word for chosen or selected, because of their beauty) - this one with red pyropes (see the extreme closeup, larger picture) in black pyroxene is from San Benito County, California. Thanks to Wayne Bloechl's (GeoJoe's) auction on eBay for the specimen! These appear to be pyropes from Pakistan. Thanks to Frank Elsen's auction on eBay for the specimen! 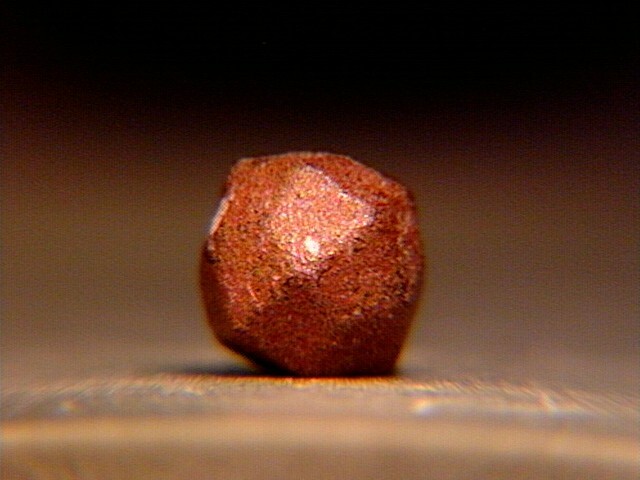 A 5mm pyrope on mica from Governador Valadares, Doce valley, Minas Gerais, Brazil. Thanks to S Khalsa's auction on eBay for the specimen and the images! A big beautiful bright pyrope-almandine from Brazill. Thanks to Natalia Monsievich's auction on eBay for the specimen! 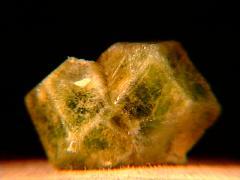 The chemical composition of pyrope precludes any allochromatism but these mint-green pyropes (this specimen's a miniature) from the 2010 find at Gulbahar, Afganistan were still a surprise. Thanks to SoCal Nevada's auction on eBay for the specimen and images! Schorlomite's a rare titanium-rich member of the ugrandite garnet subfamily. There's also aegirine, cancrinite, and nepheline in this specimen from the Turii alkaline Massif, Turii Cape, Kola Peninsula, Russia. Thanks to Tim Jokela, Jr. at Element 51 for the specimen! 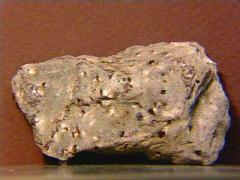 Two miniatures (see larger image) of massive schorlomite from the Branch Creek, Magnet Cove, Hot Spring County, Arkansas. 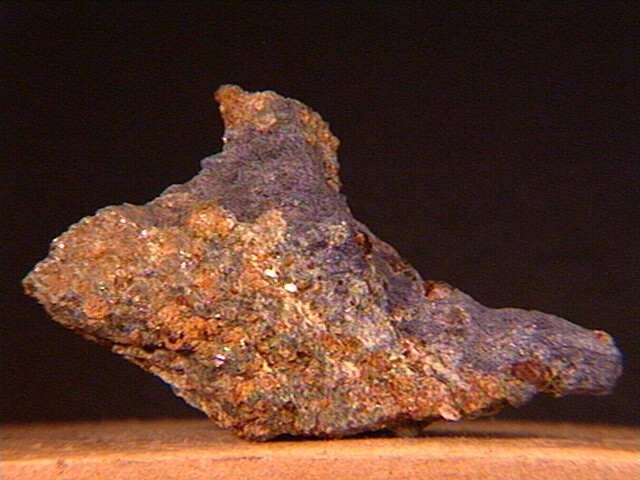 The Magnet Cove area is the type locality for schorlomite. Thanks to Wayne Rudolph's auction on eBay for the specimen! 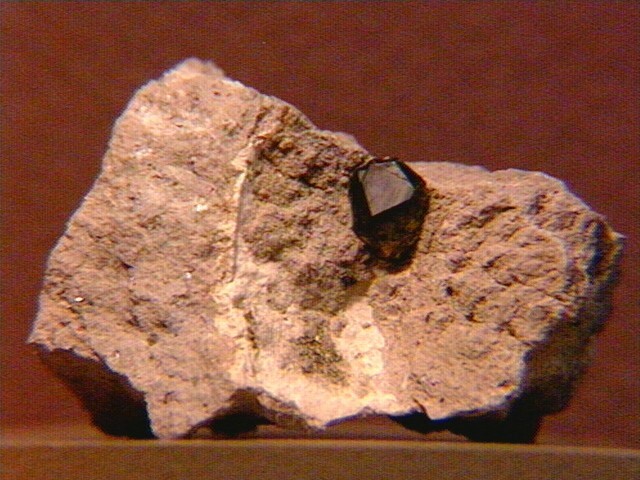 A tiny (6 mm) spessartine-almandine hybrid from the Antelope Ridge, near Topaz Mountain, Thomas Range, Juab County, Utah. The surface has also begun to alter. 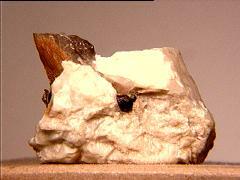 Thanks to Greg Holland at the Stone Haven Mineral Shoppe for the specimen! 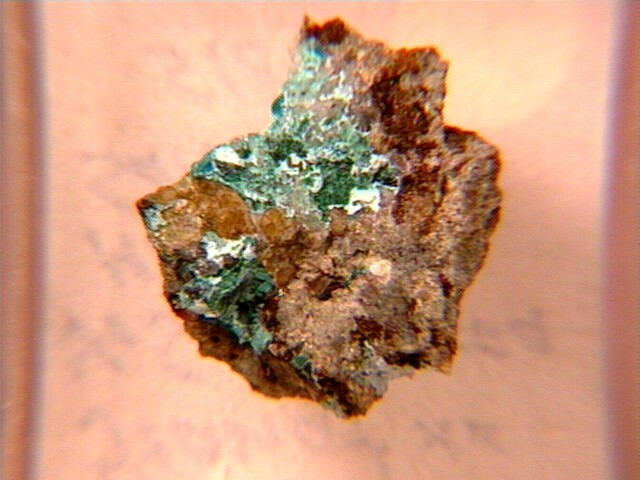 This is a hybrid of spessartine and andradite from the Aquarius Mountains, Mojave County, Arizona. Thanks to Terri Zahorniak's auction on eBay for the specimen!